Price Drop! Was: $129.95 Now: $99.98. For a limited time only, while stocks last. This 20L adult size portable toilet is made of high-density polyethylene, so it is light but sturdy. 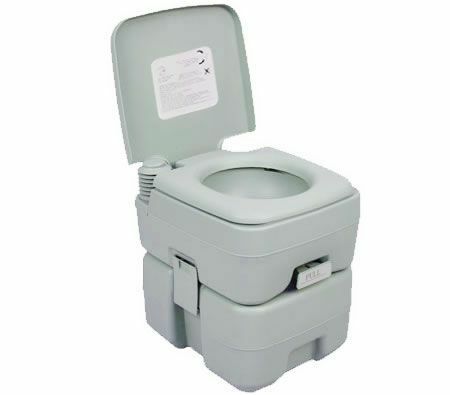 Completely self-contained, the portable restroom does not require external water or power connection to operate. A 12L fresh water tank to provide up to 50 flushes, and a 20L waste holding tank that can be easily detached and emptied. Double sealed drain valve to prevent leakage and odour.